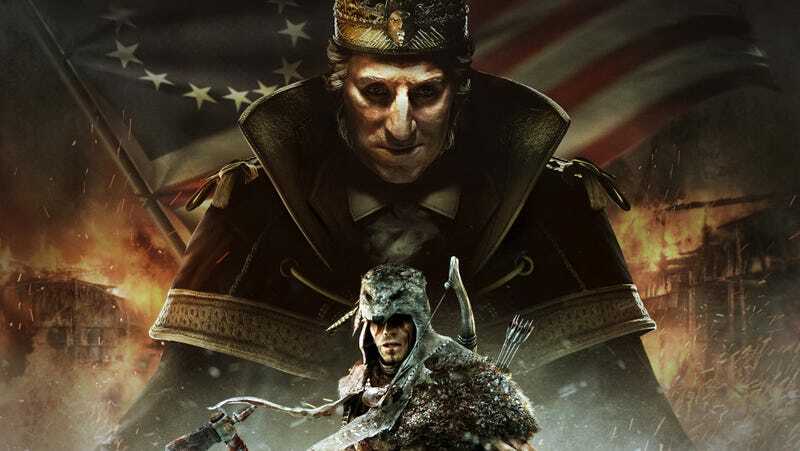 Priced at $10 for the first episode, the long-teased "Tyranny of George Washington" DLC comes to Assassin's Creed III next month. The alternate reality add-on comes out a day after the U.S.' President's Day holiday and shows a Ratonhnhaké:ton who never joined the Assassin's Order. Titled "The Infamy," the first episode will be followed by two more installments on the Xbox 360, PS3 and Wii U. PC players can get the DLC as part of the downloadable ACIII Deluxe Edition.